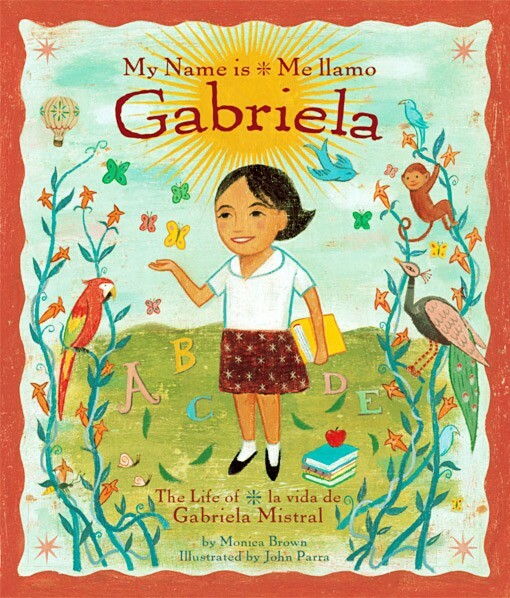 A Mighty Girl's top picks of girl-empowering bilingual board and picture books in English and Spanish. From the moment they're born, kids are like sponges for language, and many parents decide to take advantage of that natural ability by introducing more than one language early. Whether you speak multiple languages at home or want to teach your child a second language, bilingual books are a fun way to introduce kids to new vocabulary and develop fluency! And in the United States, where 45 million people speak Spanish as a first or second language, there's a huge demand for high-quality books that incorporate both English and Spanish text. To introduce you to many of our favorite bilingual pictures books, we've showcased 25 Spanish/English titles in this post. From simple board books for the littlest babies to more complex picture books for preschoolers and early school aged kids, these books provide an opportunity to introduce multiple languages to young readers — and non-bilingual parents will likely learn a few new words too! 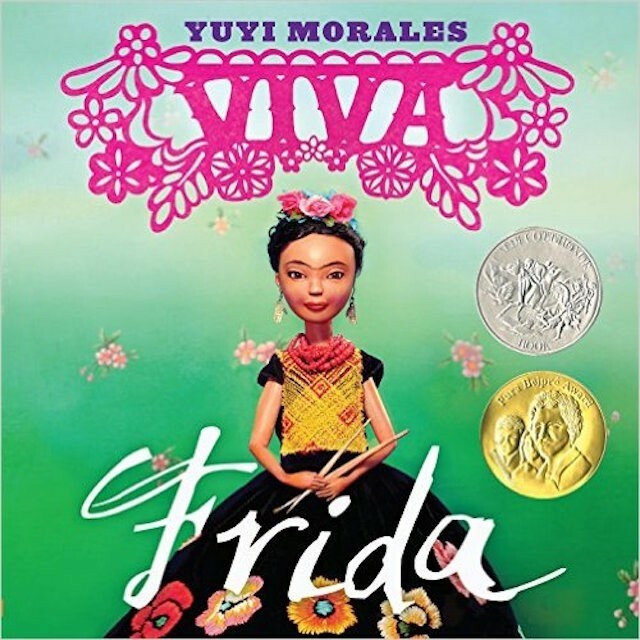 For more books for all ages about Latin American and Latina Mighty Girls, visit our Multicultural Fiction section. "Put away the wiggles. Put away the giggles. Listening works better when your body's calm and still." 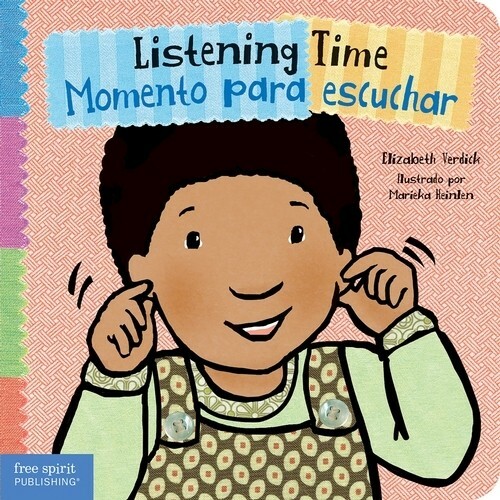 In this fun bilingual board book, with its simple text and colorful pictures, toddlers and young preschoolers learn the basics of how to be good listeners. 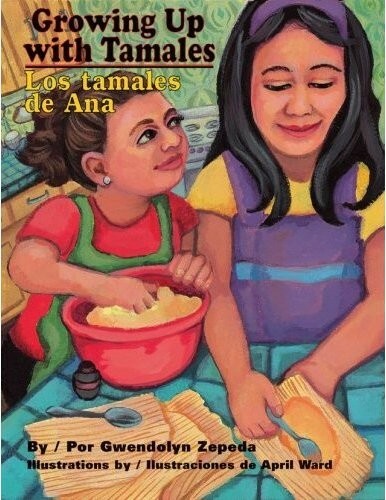 For even more bilingual board books that teach social skills and manners, check out Feet Are Not for Kicking / Los pies no son para patear; Hands Are Not for Hitting / Las manos no son para pegar; Diapers Are Not Forever / Los pañales no son para siempre; Voices Are Not for Yelling / La voz no es para gritar; Clean-Up Time / Momento de arreglar; Manners Time / Los buenos modales; Calm-Down Time / Momento para calmarse; and Bye-Bye Time / Momento de la despedida. Introduce babies and toddlers to numbers in English and Spanish — and to one of Mexico's groundbreaking artists! 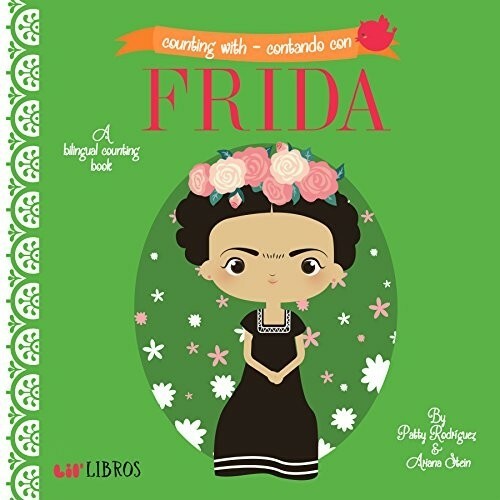 In this clever counting book, each number reflects something relating to the story of Frida Kahlo, beginning with "one blue house / una casa azul," and the illustrations draw on Kahlo's style and famous works. With vibrant colors and simple text perfect for little readers, this is sure to be a favorite counting book. How Do I Love You? / ¿Cómo te quiero? How many ways does a parent love a child? As the bees love a flower, a duck loves a shower, a bird loves to sing, a bear loves the spring, and even more! 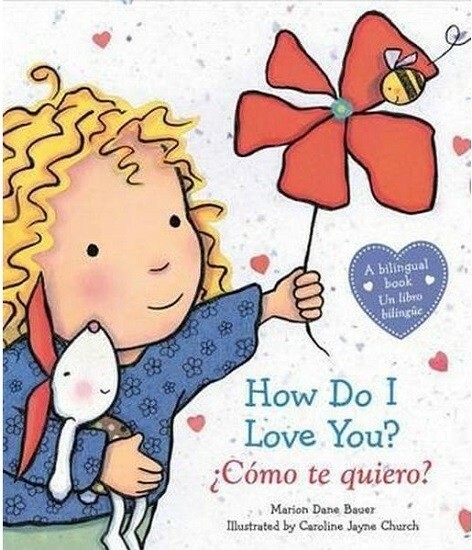 This best-selling board book, inspired by the poem by Elizabeth Barrett Browning, is now available in an English / Spanish edition, perfect for families that want to introduce a second language to their children early. With appealing illustrations and poetic but simple text, it's sure to become a fast favorite with your toddler or preschooler. This sweet story is also available in an English only edition. There's no question that becoming a big sister can bring many changes. The little girl in this toddler book discovers that babies come with their share of inconveniences, from remembering to be quiet at naptime to dealing with dirty diapers, but she's still excited by the baby's arrival — and by how grown-up she feels when she realizes how much she can do. 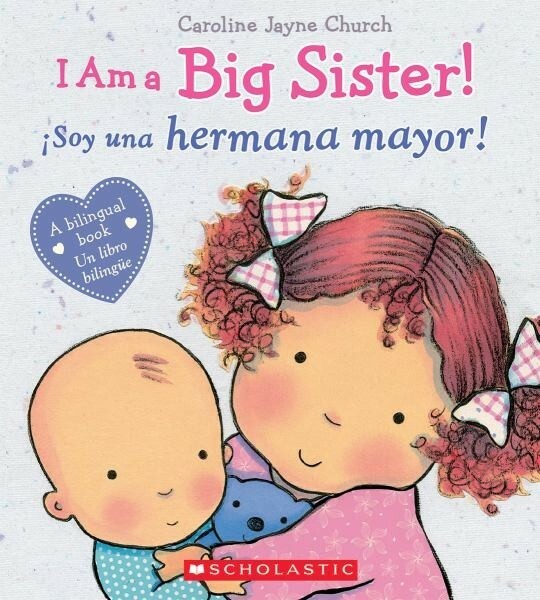 Simple text and colorful illustrations help toddlers and preschoolers celebrate the joys of being the big sister, and bilingual families in particular will love this English / Spanish edition. Sisters can be very different from one another — one big, one little; one early riser, one who sleeps in; one who chases fireflies, one who watches stars — but there is one way in which they're the same: they both love the other more than words can say! 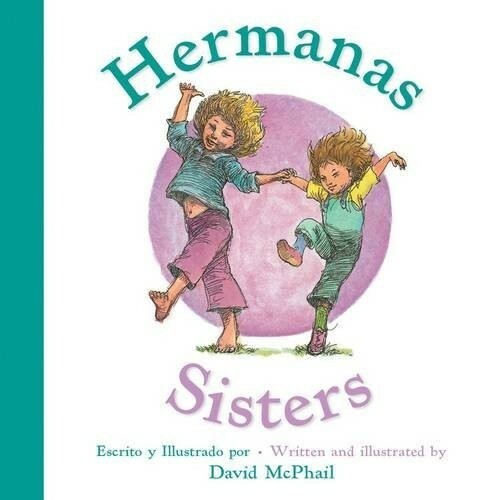 This classic story that celebrates the trials and joys of sisterhood is now available in an English / Spanish version, perfect for sharing with a new generation of Mighty Girls. Every pair of sisters is sure to find something to relate to in this charming story! This beloved story of sisterly love in also available in an English only edition. What Can You Do With A Rebozo? / ¿Qué puedes hacer con un rebozo? What can you do with a rebozo, a traditional Mexican shawl? Well, you can dance with it or keep warm under it; you can play hide and seek or give it to Mama so she can carry your baby brother; you can use it with your best dress or even turn it into a superhero's cape! 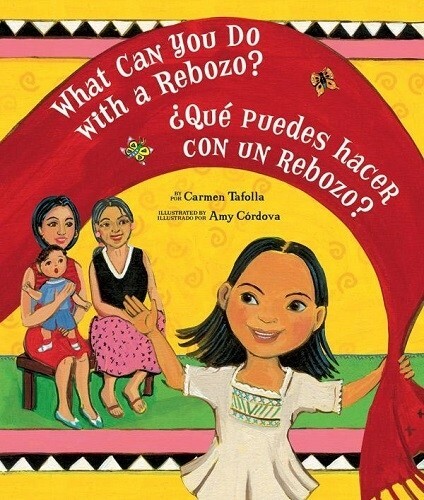 In this bilingual edition of What Can You Do With A Rebozo? 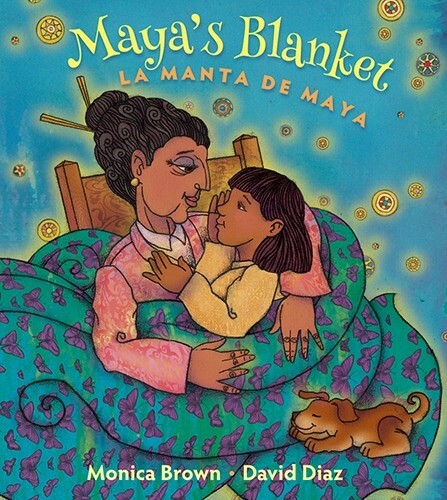 kids will learn the many uses of this seemingly ordinary shawl in lively English and Spanish text. 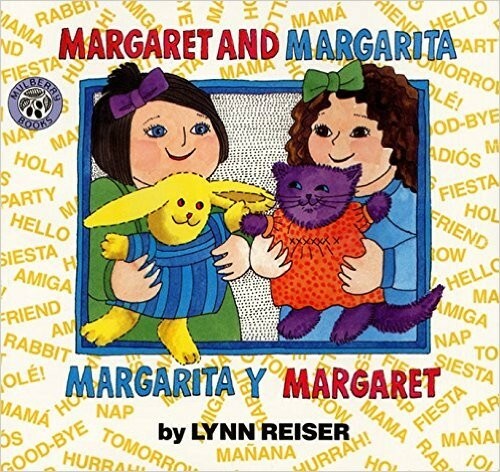 It's a playful introduction to a household item that you'll find in many Mexican and Mexican-American homes. You can also find this delightful story in an English only edition. Most kids will be familiar with the story of Rapunzel, but that’s not the only flight of fancy with amazing hair! 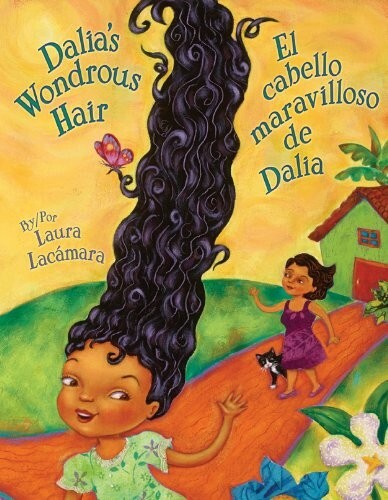 In this story, Dalia wakes up one morning to discover that her hair has grown “tall and thick as a Cuban royal palm tree.” When her mother wonders what Dalia will do with her wondrous hair, Dalia has an idea and starts plastering her hair with mud and leaves. The next morning, when she carefully unwraps her towering hair, it turns out that her hair has been protecting something very special! This imaginative bilingual picture book is sure to charm nature-loving Mighty Girls. Anita's mother loves to sing — and her songs are so uplifting that, one day, the people and animals who hear her literally float in the air! Mama is delighted: "Singing makes me so happy!" But then Mama stops singing — and the joy leaves Mama's eyes. And when Anita goes hunting for a cure for her Mama's sadness, she finds proof of an unexpected family gift... and a reason Mama's song should rise again. 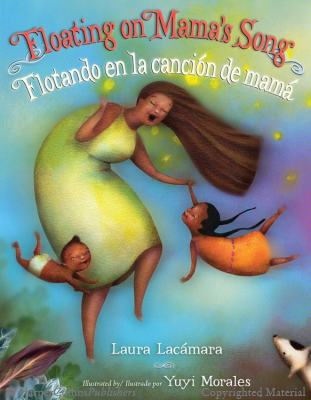 This exuberant and lyrical bilingual story is full of the joy of language and song. Even if there aren’t roads, books can still get to eager readers, young and old! 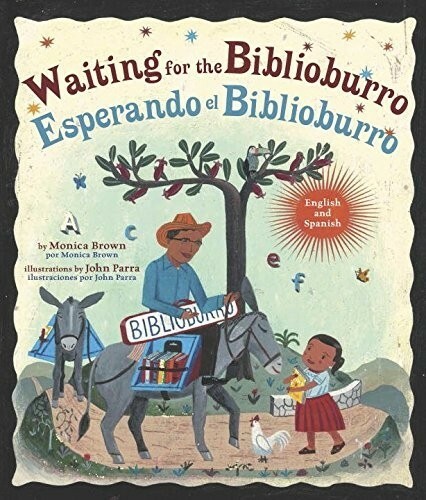 Inspired by the story of real-life librarian Luis Soriano, this book tells the story of the most beautiful sight that book-loving Ana has ever seen: a traveling library, brought by a kind man on the backs of two burros. In Colombia, where Soriano works to bring literacy to isolated villages, there are thousands of children just like Ana, who sit and wait excitedly for the Biblioburro to come. 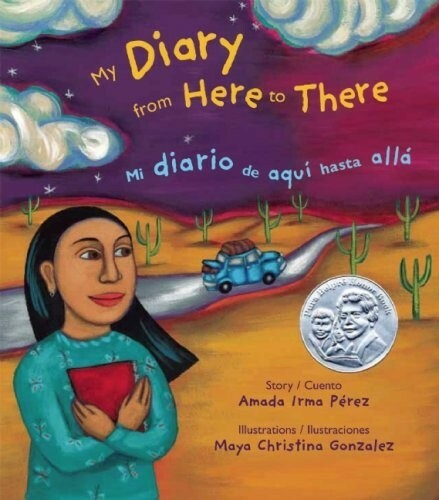 This English / Spanish edition of Soriano's story will encourage kids to imagine themselves in rural village's like Ana's, waiting and hoping that the library will be here soon. This award-winning book teaching empathy is now available in a bilingual edition! 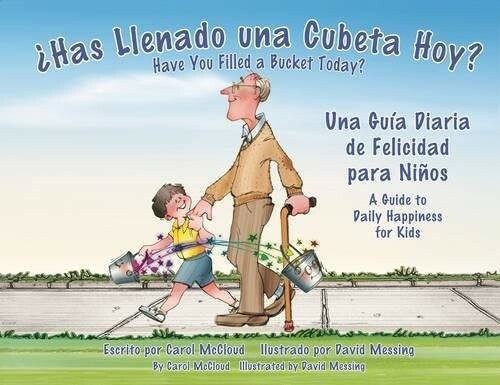 With the simple metaphor of an invisible bucket, author Carol McCloud explains how you can choose to "fill buckets" by being kind and helpful, or "dip buckets" by being cruel and thoughtless. It's a positive and easy to understand concept that incorporates charity, anti-bullying, appreciation for others, and more! 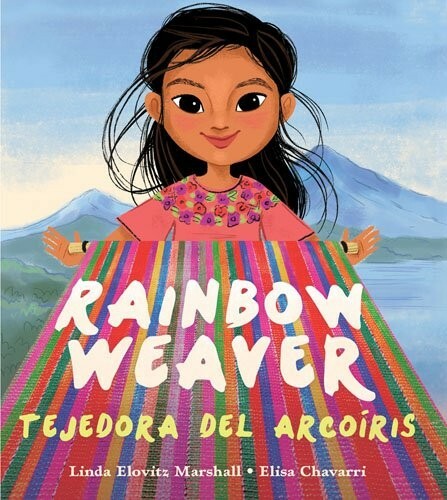 The bilingual edition has won its own awards for multilingual children's books, and incorporating both languages provides an excellent jumping-off point for discussions about diversity and acceptance. Children get an introduction to groundbreaking artist Frida Kahlo with dreamy, spare language and stunning illustrations in this picture book. Author / illustrator Yuyi Morales keeps her words sparse, focusing on strong verbs like "Soy / I am" and "Veo / I see" to capture Kahlo's unique perspective and artwork. As children follow Kahlo through exquisite photographs by Tim O'Meara, they see her see, search, and finally, create. With simple text that allow unexpected depth and exploration, this book provides a tantalizing look at Kahlo's remarkable world. An author's note in both English and Spanish describes Morales' connection with Kahlo and the enduring impact of her work. Marisol doesn't look — or act — like anyone she knows: she has flaming red hair and nut-brown skin, enjoys peanut butter and jelly burritos, and loves being a soccer playing pirate princess! And for some reason, this confuses other people around her, who'd rather that she stop being herself so that she would fit into one of their boxes. But this Peruvian-Scottish-American girl doesn't mind, and she wouldn't give up her "mis-matched" life for anything. With its vibrant illustrations and fun text, this book celebrates individuality and the power of being proud of your uniqueness. 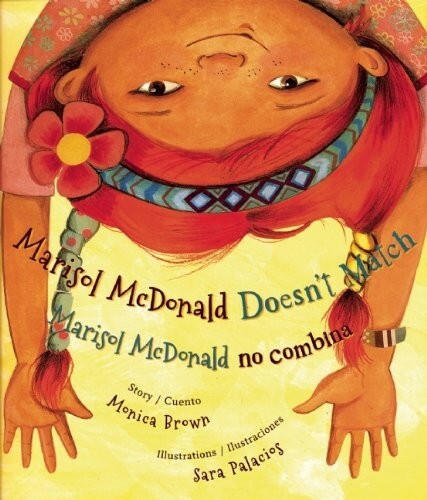 Fans of Marisol can check out the sequels: Marisol McDonald and the Clash Bash: Marisol McDonald y la fiesta sin igual and Marisol McDonald and the Monster: Marisol McDonald y El Monstruo. For years, thousands of farmworkers harvested crops that filled other families' tables, but their own wages were so low, they couldn't afford the bounty they'd helped produce. Then Dolores Huerta and Cesar Chavez teamed up to lead the workers in protests, strikes, and other action, demanding reasonable working hours, safe working conditions, and fair pay. In fact, it turned out that the workers could do a lot when they stood side by side! 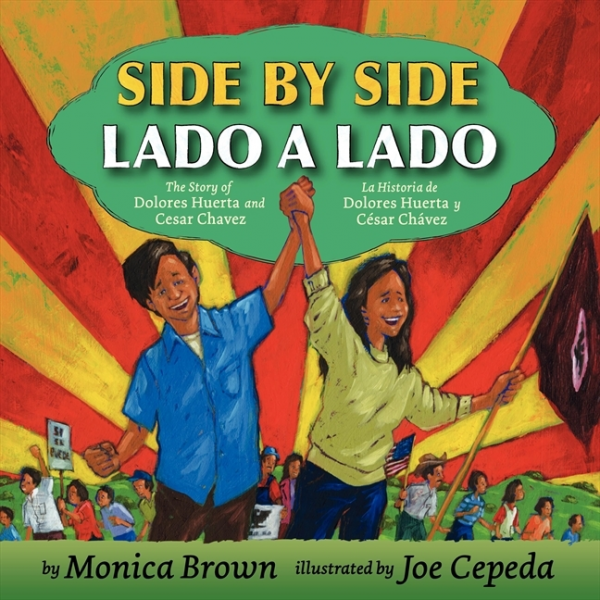 This tribute to Huerta and Chavez captures the power of working together to fight for justice; it's an inspiring title no matter which language you read! 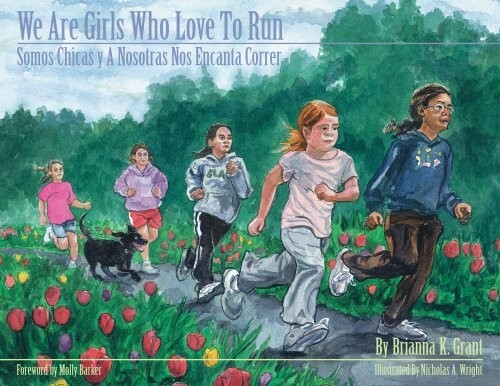 These girls share one thing in common: they love running! This celebration of girls and sports celebrates so many things, from the power of friendship to the joy of being a girl, all through the lens of young runners. Whether they are fast or slow, tall or short, a new runner or a seasoned competitor, they all love the feel of the wind in their hair and the ground under their feet as they run, run, run! The final page includes inspiring quotes from women of all ages and backgrounds, exploring their love of running and the lessons they've learned over the many miles. 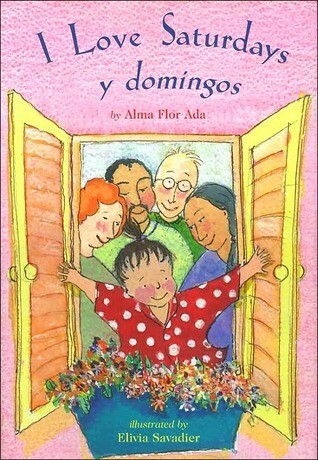 Kids will love the free-spirited feeling captured by the English and Spanish text. Before Gabriela Mistral became the first Latina woman to win a Nobel Prize, she was a Chilean girl who loved words, sounds, and stories. She taught herself how to read, and even chose her own name because she liked how it flowed off the tongue. She grew up to become a beloved teacher, who inspired thousands of children and young adults, and a poet, whose writings inspired millions around the world. In this lyrical picture book biography, kids will learn how Mistral's musical language became beautiful poetry. 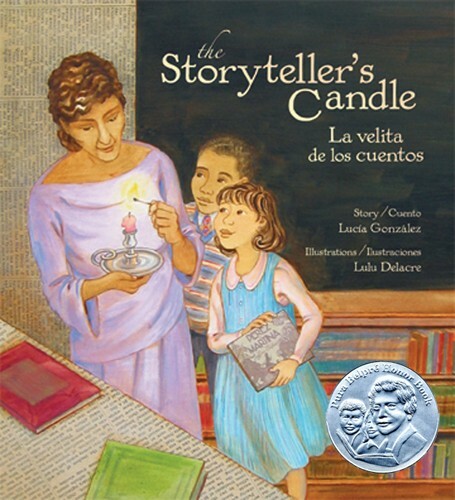 It's sure to inspire kids to experiment with their own poetry — in English, Spanish, or maybe both! It's the Day of the Dead, and this Mighty Girl is excited to celebrate — especially since her beloved abuelito passed away several months ago. But what if Abuelito loses his way? His spirit has never had to travel home before! Fotunately, her mother is able to reassure her that, just like the monarch butterflies know where to go, Abuelito will find his way home too. This sweet story, which is an excellent introduction to the tradition of Día de los Muertos, includes recipes and crafts for a Day of the Dead celebration. 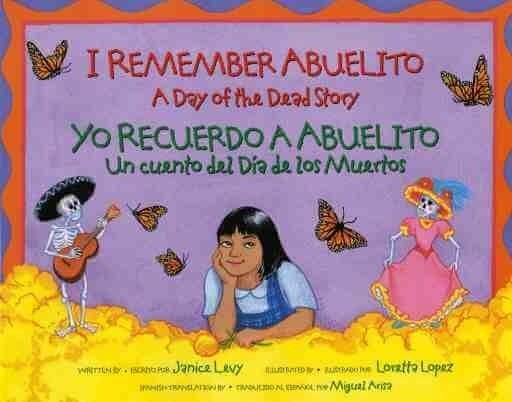 For another book about remembering a grandparent on Día de los Muertos, check out A Gift for Abuelita: Celebrating the Day of the Dead/ Un regalo para Abuelita: En celebración del Día de los Muertos for ages 5 to 8. From a young age, Sonia Sotomayor wanted to be a lawyer, but that was a big dream for a young girl in the Bronx. 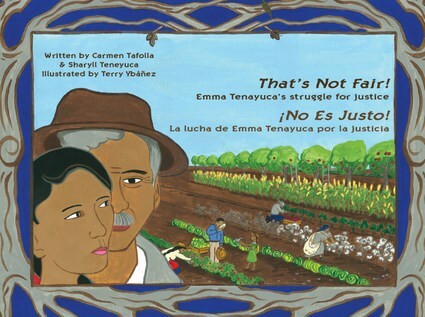 In this bilingual picture book, kids follow her as her mother's love, a desire to learn, and the willpower and bravery to defy all the naysayers, led Sotomayor to overcome obstacles like financial hardship, juvenile diabetes, and the death of her father in order to achieve a seat on the Supreme Court of the United States. 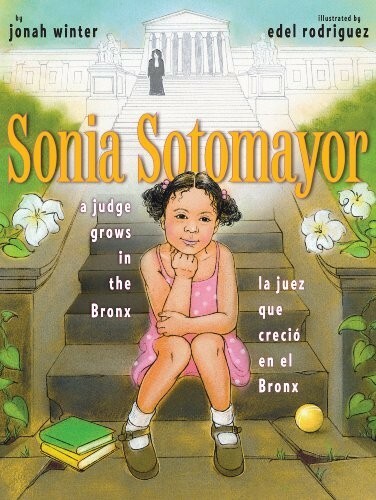 Vibrant artwork makes Sotomayor's childhood come alive, while a detailed author's note provides plenty of additional information about her life and career. 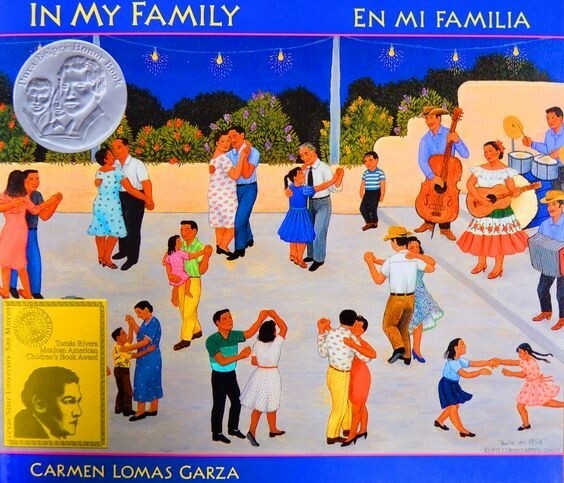 Author Carmen Lomas Garza recounts her fondest childhood memories growing up in a Mexican-American family in Texas in this charming story. She remembers special holidays and family dinners; music and dancing at a local restaurant; and even seemingly simple moments like a visit to her grandmother's house. Each scene is illustrated in vivid color and accompanied by a text description of the event in both English and Spanish. Gentle and welcoming, this book captures the extraordinary and everyday moments that make up the stories of a cherished family. Cousins Hildamar and Santiago are having trouble adjusting to their new home in New York City: the winter of 1929 is cold and harsh, not at all like Puerto Rico. Worst of all, Three King's Day is approaching, and Hildamar is worried about how they can have this special holiday in their new country. Fortunately, a storyteller and librarian named Pura Belpré comes to their classroom and teaches them — and their classmates — about the value of celebrating many different holidays in their diverse community. This lovely introduction to the life of groundbreaking librarian Pura Belpré captures the lasting influence of this advocate for New York's Spanish-speaking communities. Weekends are a very special time for this little girl! On Saturdays, she visits Grandma and Grandpa, her European-American family, and on Sundays — los domingos — she visits Abuelito y Abuelita, her Mexican-American grandparents. Each pair of grandparents has their special rituals and treats, and they are different in many ways, but they are the same in one very important respect: they adore their granddaughter and the rest of her loving family. Instead of presenting a family with dual cultures as competing, this family complements and celebrates one another, creating a unique and special atmosphere. While not a strictly bilingual book, the language in this book, like that of the young protagonist, moves between English and Spanish with ease. Ixchel dreams of weaving beautiful fabrics, just like her mother, her grandmother, and generations of other Mayan women have done. But her mother is struggling to weave goods to sell — if she doesn't sell enough, Ixchel can't go to school — so she has no time to teach her, and no extra thread for her to practice. So Ixchel decides to find something she can use, and while her first efforts don't work out, she eventually comes across an inventive solution: if she washes the discarded plastic bags that litter her village, then cuts them into strips, she's not only cleaning up her community: she can also make beautiful rainbow weaving! 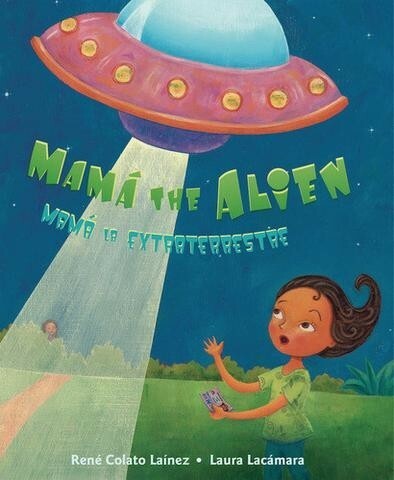 This bilingual picture book even incorporates some words in Kaqchikel, one of the Mayan languages spoken in Guatemala. 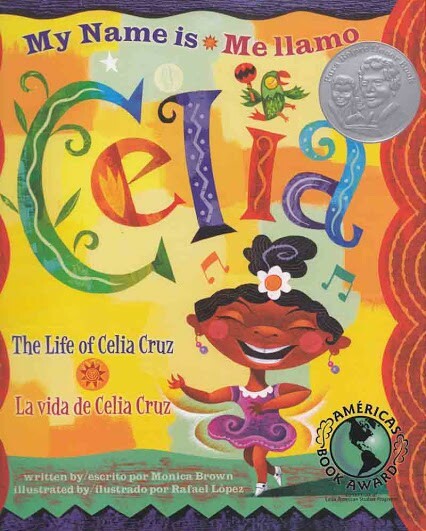 For more books about Latin American and Hispanic American Mighty Girls, visit our Multicultural Fiction Collection. For books about the immigrant experience starring Mighty Girls, visit our Immigrant book section.